Golfing is becoming one of America’s new loves for family vacation activities. Golfing Magazines continue to report some of the most amazing golf courses as family vacation destinations. In our most recent blog we discussed, La Costa Champions redesign by Golf Course Architect Jeffrey Brauer, as one of the top ten golfing vacation destinations. In the December issue of Golfweek magazine, two other golf courses designed by Jeffrey D. Brauer were listed in the top fifty for leading destinations for casino golf courses in the nation; Wilderness at Fortunes Bay and Firekeeper Casino Resort Golf Course. Wilderness at Fortunes Bay in Tower Minnesota was ranked as seven out of fifty. Built in 2005, the golf course was one of three most recently built golf courses in Minnesota at the time. The Bois Fort Band of Chippewa had built a casino near Tower MN and wanted to include a golf course for its patrons. Because the two courses faced some challenges with complexity too much or less, Jeffrey D. Brauer delivered a course that met in the middle. Today, families and professionals enjoy great golfing at Wilderness at Fortunes Bay. The next Brauer golfing design honored by Golfweek magazine is Firekeeper Casino Resort Golf course in Mayetta, Kansas about 15 miles north of Topeka. The course was designed for the Prairie Band Potawatomi. 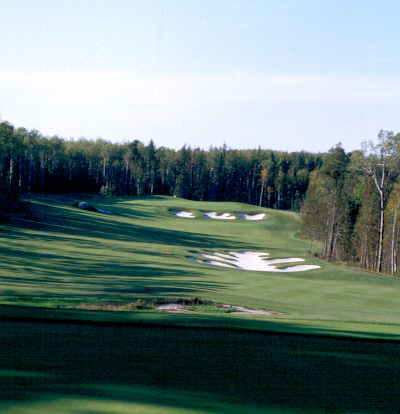 The 18-hole course boasts of beautiful wooded lands and friendly resort play. Brauer took great lengths to preserve the environment while building an awarding winning golf course. Golf Digest and Golf week magazine continues to list Firekeeper as one of the top casino resort golf courses. This distinction has followed Firekeeper Casino since its completion in 2011. Jeffrey D. Brauer, ASGCA is one of the nation’s leading golf course designers, with multiple awards and named top 100 golf courses across the country. The Brauer design golf course brand is exceptional in that the course are always built for the enjoyment of the player and respect for the complexity of game. All courses are carefully designed and constructed with environmental preservation as a directive. Award winning Design Architect Jeffrey D. Brauer invites you to visit his website. You find a complete list of his beautiful golf course projects.